Completely fresh, all natural balm for lips. Keeping ingredients as simple as possible, this lip balm provides maximum protection and hydration for lips in the kindest way. Smooth over lips whenever you feel the need to keep them supple and kissable. The skin on your lips does not produce its own oil, that’s why they quickly get dry (especially when exposed to the elements) and why we need to take steps to care for them with hydrating products. Many petroleum-based products only increase the dryness on lips leading us to feel we need to apply the product again and again, while our lips still become sore and cracked. A lip balm based on natural oils works in partnership with our skin to hydrate and protect. You can keep your lips supple and kissable with just a few applications. 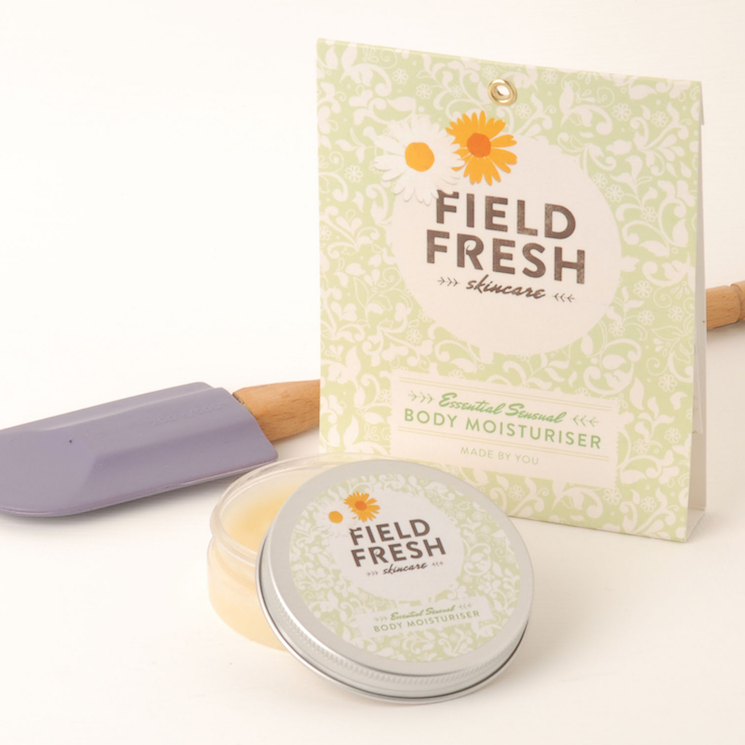 The blend of natural plant seed oils in this lip balm includes comfrey, camelina and rapeseed. 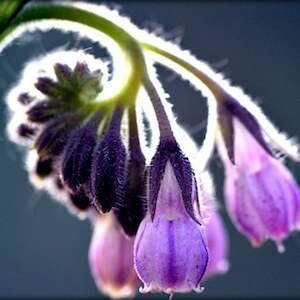 Comfrey is softening and good for dry skin. It promotes the growth of new skin cells and helps sensitive skin to become more resilient, counteracting dryness and cracking. Camelina oil gets deep into the skin, providing emollience without greasiness. It’s hydrating and provides great luminescence. 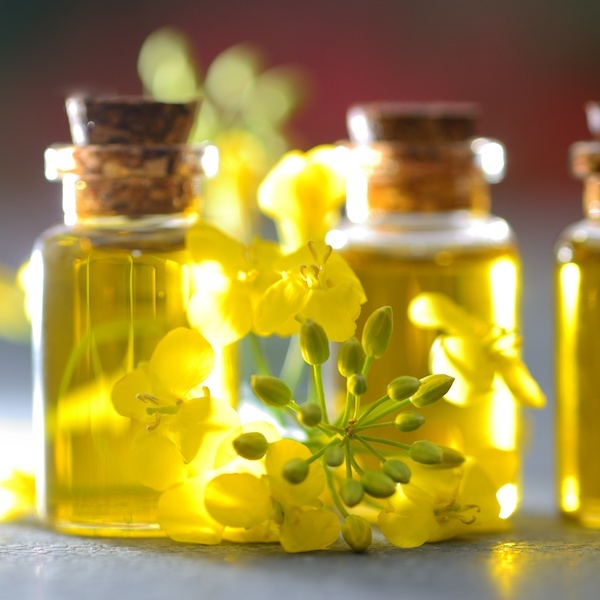 Rapeseed is a good, healthy oil packed with omega 3 and omega 6 fatty acids, vital to healthy skin and bodies. These are combined with protective and emollient beeswax, rejuvenating and moisturising walnut butter and lemon and tea tree essential oils – both mild antiseptics good for combatting cold sores. Kit contains: Pre-measured ingredients sachets x 2, labels for you to personalise, optional pot and full instructions. Everything you need to create your own product with mastery in just five minutes. 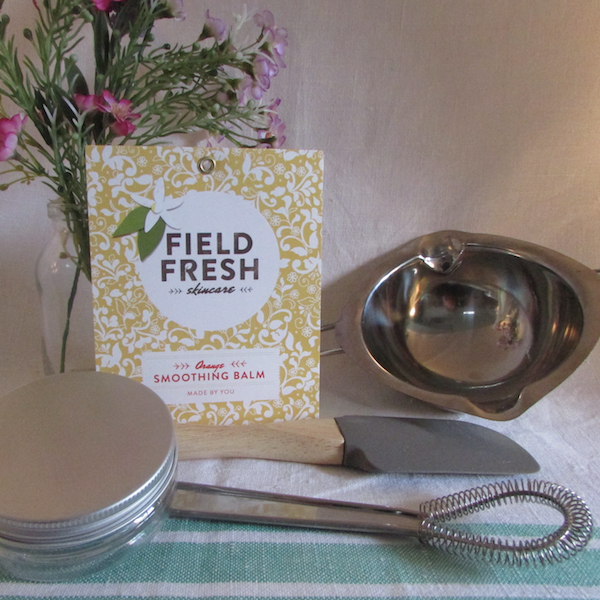 Make it with basic kitchen equipment: small saucepan, heatproof bowls, spatula, whisk. Have you seen our ‘kit and caboodle’ bundle? Sufficient to make 50g (over 100 applications). The made up product will last for six months. Empty the contents of the large sachet into the top of a double boiler (or bowl over a pan of hot water) and stir until the beeswax heart has melted. TIP: cut open the top edge of the sachet, then hold it upside-down over the pan and squeeze from base to top to get all the contents out. When the beeswax heart has melted, transfer the top pan (or bowl) to over a bowl of cold water and keep stirring. TIP: As you stir, keep the whisk touching the bottom of the pan, that way less air will get into your product. When the consistency starts to change and thicken, add the contents of the small sachet. Stir rapidly until it cools completely. TIP: Make sure the product is cool before it goes into the jar – if it’s liquid enough to pour in and form a smooth surface, it is too warm, cool it more (stirring all the while) or you risk it separating in the jar. Scoop into a clean 50ml pot, put on the lid and label, adding your name and the date. TIP: To clean your pan and utensils, gently warm them and wipe around with absorbent paper to remove the remnants of oils and waxes before washing in hot soapy water.